Gifthorse Hoody: I have un-knitting to report. 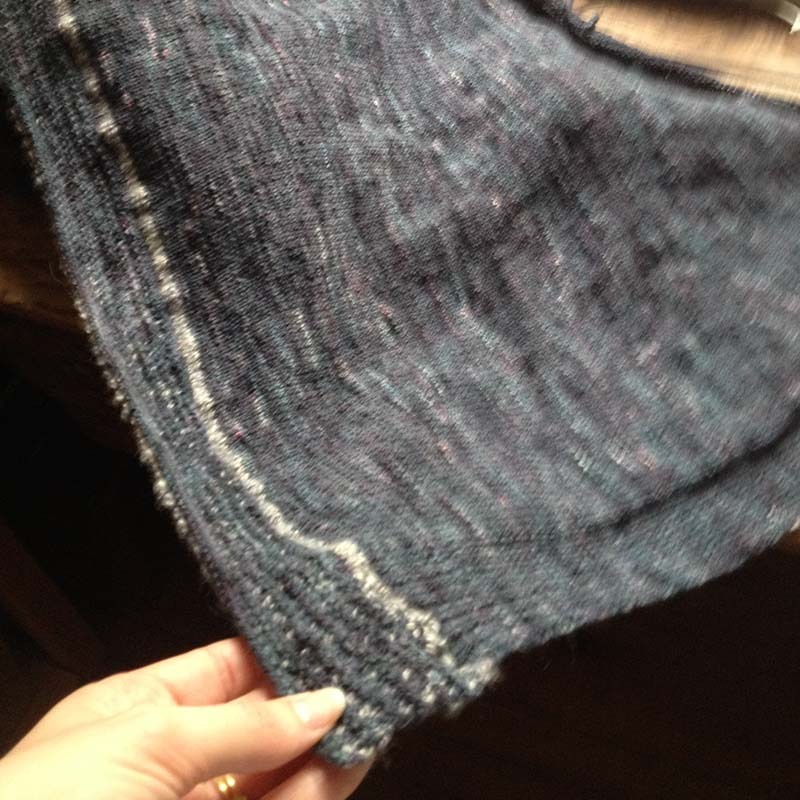 I frogged one sleeve all the way back, and prepped the yarn for re-blocking. I'm leaving the other sleeve intact to make sure I don't make the same mistake twice. Big sigh. 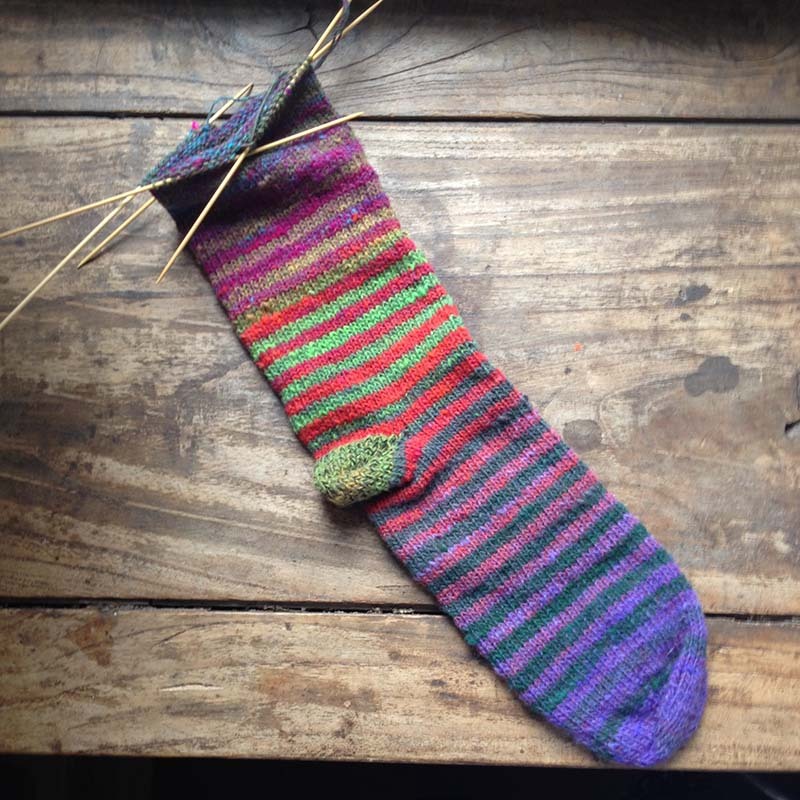 Stripey Socks: Continuing apace. The stripes got kinda muddy, and I can't work on these guys at night until I get to the next color change. Small sigh. Sherpa Jacket: Love, love, and more love. I'm doing a modification to the back with a series of short-row gussets for additional back length, and a more a-line shape. So happy with how this is turning out!